There are a variety of treatment options available for OCD, however, the most effective treatment with research supporting its effectiveness is cognitive-behavioral therapy (CBT). Cognitive-behavioral therapy consists of exposure and response prevention and cognitive-behavioral therapy. The cognitive therapy component focuses on the catastrophic thoughts and an exaggerated sense of responsibility the patient feels. The individual and the doctor compile a detailed list of symptoms and a hierarchy of situations that provoke obsessional fears. The Yale-Brown Obsessive Compulsive Scale is a tool used for CBT treatment. Exposure and ritual prevention involves two essential components: 1) exposure and 2) ritual prevention. Exposure involves intentionally confronting situations that you know are likely to increase your fear and anxiety. Ritual prevention involves choosing to sit with your anxiety (without resisting it) and letting go of the unhelpful strategies (rituals) that are maintaining the cycle. When you do this, you will naturally feel more anxious at first. However, with time, repetition, and practice, your fear will decrease. Because fear is what maintains your symptoms and causes your attention to locking onto your physiology, decreases in fear will lead to decreases in your symptoms. Treatment starts with exposure to situations that cause mild to moderate anxiety, and as the patient habituates to these situations, he or she gradually works up to situations that cause greater anxiety. 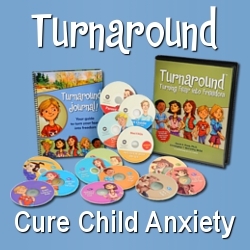 The individual gradually challenges all of his/her symptoms and learns healthier productive methods of coping with anxiety. The time it takes to progress in treatment depends on the patient’s ability to tolerate anxiety and to resist compulsive behaviors. Over this time, the individual becomes desensitized to previously anxiety-provoking situations and thoughts, and the obsessions and compulsions are eliminated or significantly reduced in frequency and magnitude. A variant of ERP or “imaginal exposure” is frequently used in the treatment of OCD. Imaginal exposure involves using short stories based on the individual’s obsessions. This is helpful when the individual cannot physically repeat ERP often enough for it to be effective or cannot conduct exposure in real life. Imaginal exposure can also play a role in ensuring a gradual approach. In cognitive therapy, the focus is on how the individual interprets their obsessions. This may be what they believe or assume to be true about them, what their attitude is toward them and why they feel they have these obsessions. Cognitive therapy helps the individual identify and re-evaluate beliefs about the potential consequences of engaging or not engaging in compulsive behavior and to work toward eliminating the behavior. Medication, family therapy, and group therapy may be helpful in addition to cognitive-behavioral therapy. If you are suffering from OCD, it is likely that you have low serotonin levels. SSRIs (Selective Serotonin Reuptake Inhibitors) are the medications that are most commonly used to treat OCD and work to improve mood and reduce anxiety by boosting levels of serotonin in the brain. In addition to cognitive behavior therapy and medication, people can help manage OCD through stress management, diet and nutrition, and exercise. See Below. 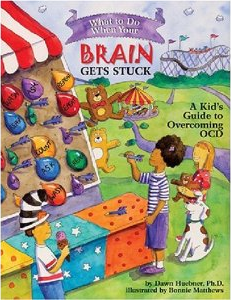 YBOCS is a test to rate the severity of OCD symptoms. The scale is used extensively in research and clinical practice to both determine the severity of OCD and to monitor improvement during treatment. This scale, which measures obsessions separately from compulsions, specifically measures the severity of symptoms of obsessive-compulsive disorder without being biased towards the type of obsessions or compulsions present. The Y-BOCS provides five rating dimensions for obsessions and compulsions: time spent or occupied; interference with functioning or relationships; the degree of distress; resistance; and control (i.e., success in resistance). Cognitive behavior therapy teaches people skills for dealing with their problems, helps with changing behaviors and beliefs, and helps with solving life problems. CBT helps people look at how they think about themselves, the world, and other people. It also helps people look at what they do affects their feelings and thoughts. If people can understand the links between what they do, think, and feel, CBT can help them make changes in the way they think and the way they behave. A key component in CBT is exposure and response prevention. ERP consists of 1. ) exposure to feared situations with accompanying thoughts, feelings, images, and urges 2.) response prevention, or voluntarily eliminating compulsive behaviors. By learning to identify stressful situations that trigger compulsions, they will calm their anxiety and slowly retrain their brain to avoid unwanted behavioral patterns. For example, one may learn that stressful work situations trigger a compulsion to clean or check objects. By controlling the stress they will reduce the amount of time they spend cleaning or checking that triggers OCD. Serotonin is an important mood-regulating neurotransmitter produced in the brain. The production of serotonin is influenced by the dietary intake of the essential amino acid tryptophan. According to the University of Maryland Medical Center, the body converts tryptophan into 5-hydroxytryptophan, which is subsequently converted into serotonin. Serotonin is crucial for relaying signals between the brain cells. It plays an important role in regulating sleep, mood, pain, appetite, and anxiety. Interestingly, people who suffer from OCD may be deficient in serotonin. The amino acid tryptophan, which has a direct influence on the production of serotonin, is present in a variety of foods, including protein-rich foods like turkey, chicken, milk, eggs and cottage cheese; whole grains like brown rice and quinoa; beans and legumes; pumpkin; sunflower and sesame seeds; nuts; and root vegetables. Increasing the intake of these foods can increase serotonin production in the brain, potentially resulting in a beneficial reduction in symptoms of OCD. Caffeine, in particular, has been found to be responsible for aggravating anxiety and triggering panic attacks. It is also important to reduce the amount of sugar consumed and eat a well-balanced diet high in fiber and vegetables and low in fats. Recent scientific evidence is emerging that suggests that people suffering from anxiety disorders should decrease their level of carbohydrates in proportion to fats and protein (Sears, 1995). Eat plenty of complex carbohydrates such as whole grains, fruits, and vegetables. Not only do complex carbs stabilize blood sugar, they also boost serotonin, a neurotransmitter with calming effects. The bulk of carbohydrate intake should consist of whole grains like oatmeal and brown rice, fruits and vegetables. Cut back on sugar and refined carbohydrates. It may also be important to supplement the diet with vitamins, particularly vitamin B, vitamin C, magnesium and calcium that are rapidly depleted when a person is under stress. Vitamin B12 has been cited in the support of obsessive-compulsive disorder for its important role in the activity of nerve health. Incorporating vitamin B12 in the diet or as a supplement may help to calm the expression of obsessive-compulsive disorder symptoms. Eggs, poultry, meats, and fish are good sources of vitamin B12. Vitamin B8 balances and increases the body’s response to serotonin. Vitamin B8 is an integral component of animal cell membranes, including the heart and brain. Vitamin B8 supports nerve health and helps to improve psychological disorders, including obsessive-compulsive disorder. Vitamin B8 occurs naturally in many healthy foods. Raisins, nuts, wheat germ, bananas, cabbage and brewer’s yeast are some excellent sources of vitamin B8. Vitamin B8 is also available as a supplement as either Vitamin B8 or Inositol. Inositol is a nutrient that is related to the vitamin B complex and a substance that is necessary for the proper formation of cell membranes. The brain contains a large concentration of omega-3 fatty acids. The Association for Comprehensive Neurotherapy reports that research suggests adequate intake plays a role in the health of the nervous system, which includes the brain. Fatty fish like salmon and tuna, flax seed, hemp seed, soy, and walnuts all contain essential fatty acids. Alcohol temporarily reduces anxiety and worry, but it actually causes anxiety symptoms as it wears off. Similarly, while it may seem that cigarettes are calming, nicotine is actually a powerful stimulant. Smoking leads to higher, not lower, levels of anxiety and OCD symptoms. Exercise is a natural and effective anti-anxiety treatment that helps to control OCD symptoms by refocusing one’s mind when obsessive thoughts and compulsions arise. Regular physical exercise has been shown to be of benefit in reducing anxiety and depression and may have a place to play in the management of OCD (Cooper 1985, Bourne 1998). Exercise has a direct impact on several physiological factors that underlie anxiety. It reduces skeletal muscle tension, it increases the metabolism of excess adrenaline and thyroxin in the blood and discharges pent up frustrations, which can aggravate phobic or panic states (Bourne, 1998;56 ). Finally, it has been established that regular exercise can raise serotonin levels (which is what anti-depressants do). Yoga practice can reduce the perception of stress and decrease arousal. Yoga meditation can help the OCD patient learn to recognize obsessive thought patterns, a key component of cognitive behavioral therapy. Therapeutic forms of Yoga teach us to prioritize and eliminate intrusive thoughts. Yoga asanas and relaxation techniques provide anxiety relief. Yoga asanas, or poses, strengthen and stretch the muscles, reducing physical tension, and leading to increased strength, flexibility and feelings of enhanced well-being. The idea of energy balance is the basis of many Eastern and Chinese medical systems. According to these systems, all disease can be traced back to a block in energy systems. Different methods can be employed, which helps to release blocked energy sources. These methods include Yoga, Tai Chi (a form of moving meditation), acupuncture and various types of massage. Acupuncture is an ancient healing method that involves placing pressure on certain points in the body to relieve blockages that cause disorders. Acupuncture for OCD involves targeting areas of the liver, stomach, and spleen to remove blocks that lead to obsessive thoughts. The benefits of regular acupuncture healing include calmness, relaxation and reduced emotional upset. Methods of achieving relaxation include abdominal breathing, progressive muscle relaxation, guided visualization meditation, and yoga. Meditation or ‘mindful awareness’ in particular has been found to be of value in dealing with OCD (Schwartz, 1996). Mindfulness originated in eastern spiritual traditions such as Buddhism and emphasizes a nonjudgemental awareness of bodily sensations, sights, thoughts, and emotions. Meditating twice a day for 15-20 minutes has been shown to be the most effective. Make an effort to practice every day, even if it’s initially only for 5 minutes. One may find it’s easiest to meditate first thing in the morning and the last thing at night. Relaxation helps by reducing tiredness, improving performance, reducing pain, coping with stress, improving sleep, improving self-confidence, and improving personal relationships. People suffering from OCD may need to make important lifestyle changes to be able to manage their OCD. It may mean reducing one’s stress levels by changing one’s job (if it is too stressful), or attending to relationship issues, as well as developing nurturing skills towards oneself and others. Research evidence has emerged which shows that the healing power of intimacy, of having a close connection with family, friends, and community for all kinds of kinds of anxiety disorders (Ornish, 1998). Healing involves far more than techniques or strategies. It frequently involves a significant shift in one’s attitude to life and concrete changes in how one lives one’s life. Obsessions and compulsions can consume one’s life to the point of social isolation. In turn, social isolation can aggravate OCD symptoms. It’s important to have a network of family and friends that one can turn to for help and support. Involving others in the treatment can help guard against setbacks and keep one motivated. Some forms of OCD may be genetically linked to Tourette’s. A subset of OCD is thought to be etiologically related to Tourette’s and maybe a different expression of the same factors that are important for the expression of tics. A tic is a sudden, repetitive, nonrhythmic, stereotyped motor movement or vocalization involving discrete muscle groups. The most common are eye twitching or throat clearing but you may observe others such as a sudden nodding or turning of the head to one direction.There are usually auditory tics that accompany the physical ones.